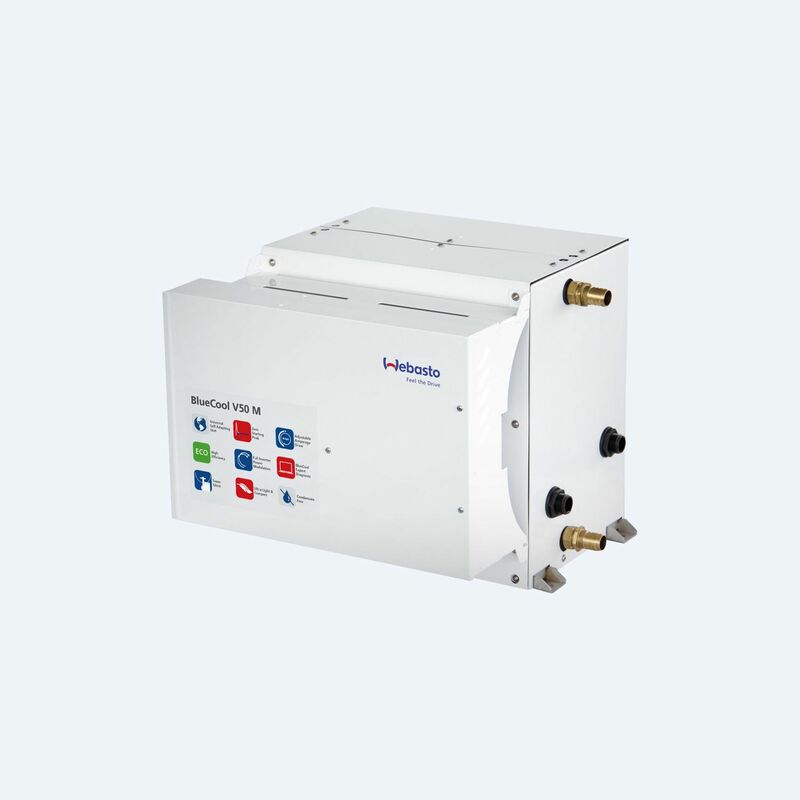 Variable speed chiller air-conditioning system. The BlueCool V-Series brings innovation to the industry with the latest technology for maximum performance in varying weather conditions. The BlueCool V-Series, including the three capacity models V50 M, V64 T & V77 T, with a cooling capacity up to 77,000 BTU/h is suitable for boats with three or more independent cabins. Whenever three or more independent volumes in a yacht need to be air-conditioned, it becomes worth considering a central chiller system. To distribute cooling capacity over several independently operating air handlers from one single central cooling unit, the most flexible and simple solution is to install a chilled water circulation system between the central unit and the air handlers. This mixed water / glycol circuit is maintained at approx. +4 °C. 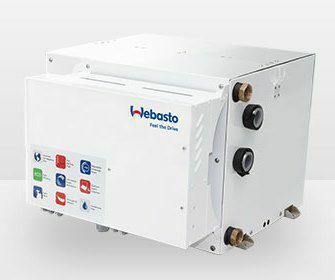 All Webasto chiller units are equipped with high efficiency multi-plate heat exchangers. The new V-Series offers a unique new feature with the BlueCool Expert Tool connected via a single USB cable and a PC. On site servicing and remote assistance are now a child’s play.